Technical Specification for Aluminum Ventilators Fan: 1. Neck Dia 12'', 14'', 24'' or 28''. 2. 42 nos. of Vanes made of high grade Aluminum. 3. Non Grase Bearing covered with Teflon Washer. 4. FRP Base Plate size of 2 x 1060 X 1600 mm 5. Can Deliver Base Plate in any customized profile & Length. mine ventilation provides sufficient volume flow of air to the underground workings of a mine to dilute and remove noxious gases (typically NOx , SO2 , methane , CO2 and CO ) emit from various equipment that runs on diesel engines. 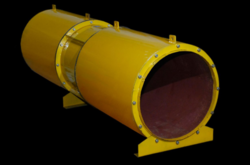 For low pressure industrial and ventilating applications. Generally recommended for blow maintenance costs and space saving as the driving motors are mounted on the fan Pedestal. 10 basic sizes capacities from 300 m3/hr to 50, 000 m3/hr. 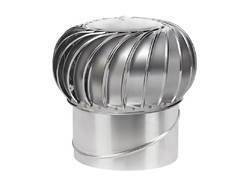 We are offering high-end quality of Ventilation Exhaust Fans to our clients. These Ventilation Exhaust Fans are best known in the global market for its salient features such as longer functional life, easy installation and less power consumption.